Tiger Woods PGA Tour Online: The Future of Gaming? : "EA announced an interesting new experiment today – Tiger Woods PGA Tour Online. Unlike Tiger Woods PGA Tour 09, which, like EA’s other sports games is released on a disc every year across popular consoles and usually sells for around $60, the online version will be billed as a monthly, recurring subscription fee. Virtual goods might also be a part of the revenue mix." Damn Cool Pics: Top 10 Poisonous Animals in the World: "Immense physical strength, razor sharp claws and scissor like teeth are not the only weapons animals use. Thousands of animals use highly venomous or toxic poisons to attack prey or defend themselves. Some animals actually shoot poisons towards victims, others store toxins in their glands or skin. Following are the top ten most poisonous animals in the world." 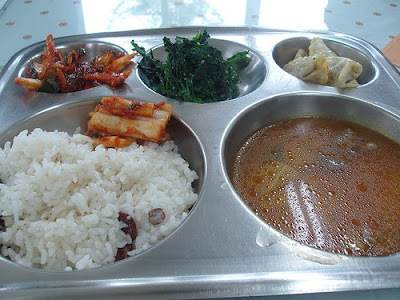 School Lunch From Around the World: "School lunch usually doesn't represent the best that a countries culinary scene has to offer. In America, at least, the food is usually pretty bad." 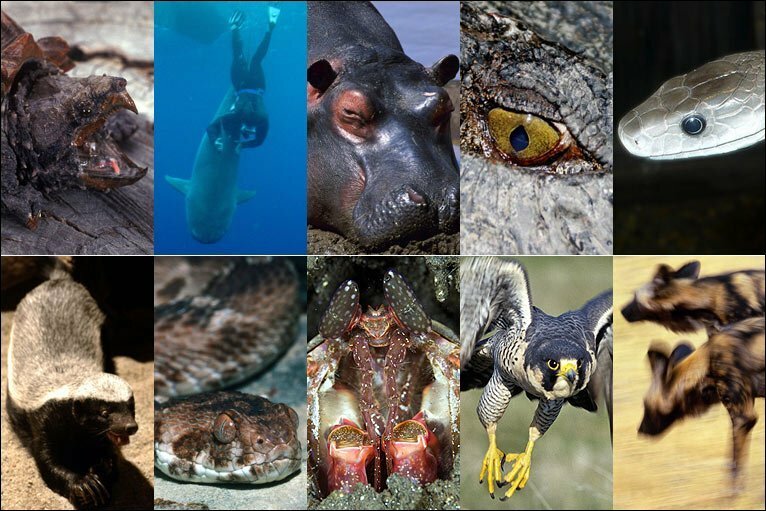 The deadliest creatures on Earth? Evolution of the PC - PC World: "Since the personal computer debuted in 1971, a Darwin-esque evolution process has lifted the PC from modest beginnings to its current role as an indispensable part of life in the 21st century." 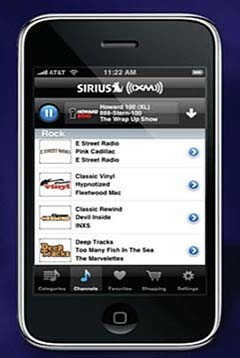 Sirius-XM iPhone app coming 'real soon': "Sirius XM has revealed a screen shot of the soon to be released iPhone/iPod touch app that will stream the satellite channels to eager listeners. The image of the upcoming app was part of an SEC filing that was included in a PowerPoint presentation shown at a recent shareholder meeting. The app, which is expected to be free, will require a US$3.00/month streaming subscription for current subscribers, and a US$13.00 monthly fee for non-subscribers." The peril of positive thinking - why positive messages hurt people with low self-esteem: "When the going gets tough, thousands of people try to boost their failing self-esteem by repeating positive statements to themselves. Encouraged by magazine columnists, self-help books and talk-show hosts, people prepare for challenges by chanting positive mantras like 'I am a strong, powerful person,' and, 'Nothing can stop me from achieving my dreams.' This approach has been championed at least as far back as Norman Vincent Peale's infamous book The Power of Positive Thinking, published in 1952. But a new study suggests that despite its popularity, this particular brand of self-help may backfire badly. Ironically, it seems to be people with low self-esteem, who are most likely to rely on such statements, who are most likely to feel worse because of them. Joanne Wood from the University of Waterloo found that people with low self-esteem who repeated 'I'm a lovable person' to themselves felt worse than people who did neither." The Best How-To and DIY Sites - Reviews by PC Magazine: "Even if you never actually constructed that handsome maple spice rack, whipped up the twice-baked sweet potatoes, or painted the Canadian lake scene, there's no denying that how-to TV can be engrossing. These days, scores of Web sites aggregate both user-generated and professionally produced how-to videos and articles from across the world—your next-door neighbor just might be the next Bob Vila, Bob Ross, or Bobby Flay. Here's a look at our eight favorite how-to and DIY (do-it-yourself) Web sites." Russian police find feral girl in Siberia | Reuters: "Russian police have taken into care a 5-year-old girl who has been shut up in a flat in the company of cats and dogs for her entire life, police said on Wednesday. The girl, who lived in the Eastern Siberian city of Chita, could not speak Russian and acted like a dog when police took her into care. 'For five years, the girl was 'brought up' by several dogs and cats and had never been outside,' a police statement said." Swedish teen tackles centuries-old numbers challenge - The Local: A 16-year-old Iraqi immigrant in central Sweden has single-handedly figured out a formula with Bernoulli numbers that is normally reserved for much more seasoned mathematicians, earning him praise from professors at prestigious Uppsala University. If it's a dive, it's Christ-this-place-is-a-dive dive. If it's an Irish pub, it's not an "Irish" pub. If it's a cocktail lounge, it's got some Tanqueray Ten and a bottle of good rye somewhere. This site is about those places. Best New Bars in America - Best Bars 2009 - Esquire: "Another year, another round of Esquire's Best Bars, our ever-growing list of those harmonious and radiant places where the bartenders are generous, the taps are clean, and the conversation is at least mildly amusing. The list starts in the West and meanders slowly but thoughtfully toward the Atlantic." Artist creates pictures by folding paper - Telegraph: "At first glance the elaborate pictures, which sell for up to £3,800, seem to have been created with pencil or paint but they are actually composed of tiny folds in the paper. 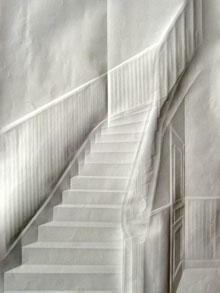 Mr Schubert spent two years perfecting the art of folding paper into his elaborate designs. Now the 33-year-old takes up to a week to create each of his unusual pictures." At first glance, it looks as if some natural disaster has shaken away the walls of these buildings to reveal architecture hidden for thousands of years. 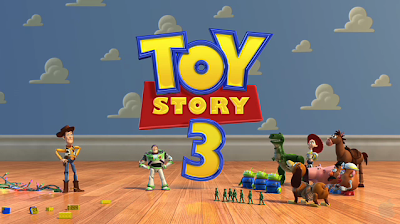 And at second and third glance, it looks like that too. 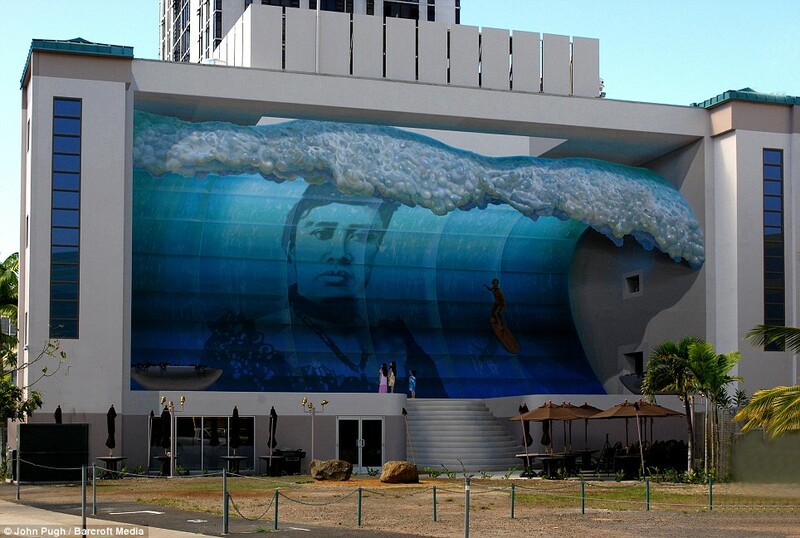 But these spectacular images are not the unexpected result of an earthquake." 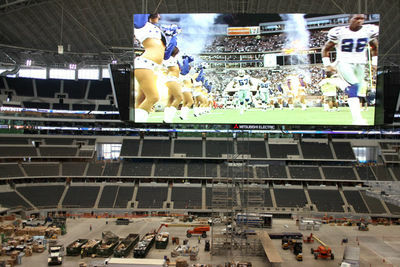 Dallas Slideshows - Cowboys Unveil World's Largest HDTV: "Jerry Jones opened up the new Cowboys Stadium in Arlington Thursday afternoon, May 21, to show off the new video board hanging above the field -- the world's largest 1080p HDTV." 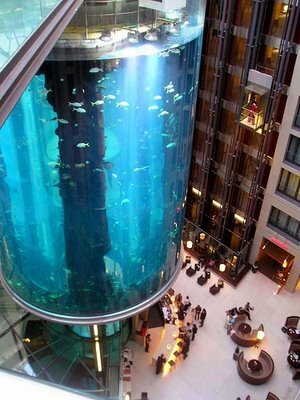 Fogonazos: AquaDom, the world's largest cylindrical aquarium: "Placed at the lobby of the Radisson SAS Hotel in Berlin, the 25 meters high AquaDom is the largest cylindrical aquarium ever built. 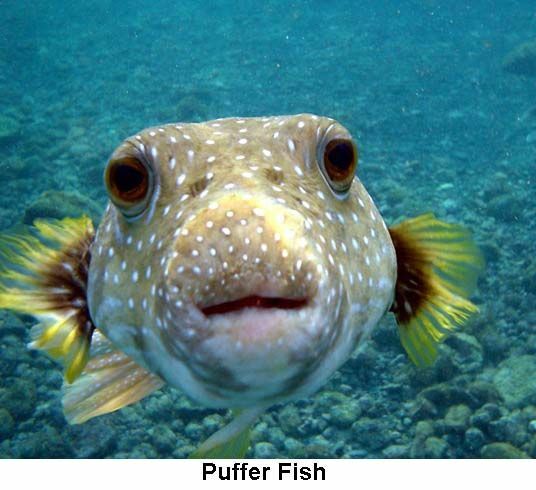 Filled with about 900,000 liters of seawater, it contains some 2600 fish of 56 species."